Since 1995, Ursula has worked in a variety of positions involving screenplay and film production with numerous writers and directors including Michael Glawogger, Tony Pemberton, Kirill Serebrennikov, Nathalie Borgers, Christian Frosch, Bakhtiar Khodoynazarov, Nina Proll, and Barbara Albert. Several of the screenplays she developed received script awards in Milan, Ghent, Sabam, and Vienna. For her screenwriting, Ursula was also awarded the Carl Mayer New Talent Prize. As a line producer fluent in German, English, and Russian, she has been responsible for a multitude of international co-productions shot in Russia, the USA, Tajikistan, and Niger, et al. Ursula has also taught dramaturgy, e.g. at the University of Applied Sciences for Film, TV and Media Production in Vienna and several training initiatives including Babylon Europe, as well as the Cinematic and Entrepreneurial Motivation Award (CEMA) initiated by the UNIDO. For eight years she has run the script development programme DIVERSE GESCHICHTEN (DIVERSE STORIES), was which has been nominated for the Austrian National Award for Adult Education and mentioned in the UNESCO World Report Investing in Cultural Diversity and Intercultural Dialogue. In 2015 she established ProPro – The Producers Programme for Women, a residential workshop in Vienna that aims to support female film producers in order to remedy the gender misbalance in the Austrian film production landscape. Ursula has been a member of several juries, including the Project Commission of the Austrian Film Institute. 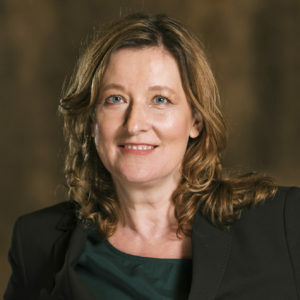 She is also a member of the European Film Academy, board member of both the Austrian Film Academy and FC Gloria (WIFT Austria), and the National Coordinator for EAVE.